2 Simple and Purple Mash Help - Can I redirect my pupils straight to Mini Mash? All Categories ​>​ Mini Mash ​>​ Can I redirect my pupils straight to Mini Mash? 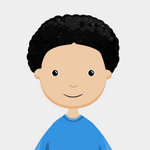 You certainly can redirect some or all of your pupils straight to Mini Mash when they log into the Purple Mash Portal, and this is common practice for EYFS children in Nursery and Reception. Please follow the steps below to carry this out. 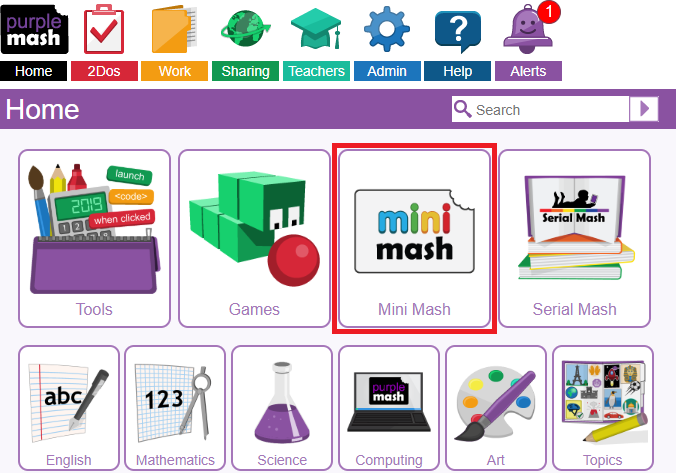 First log into Purple Mash as a Teacher or Administrator and click on "Mini Mash", as below. 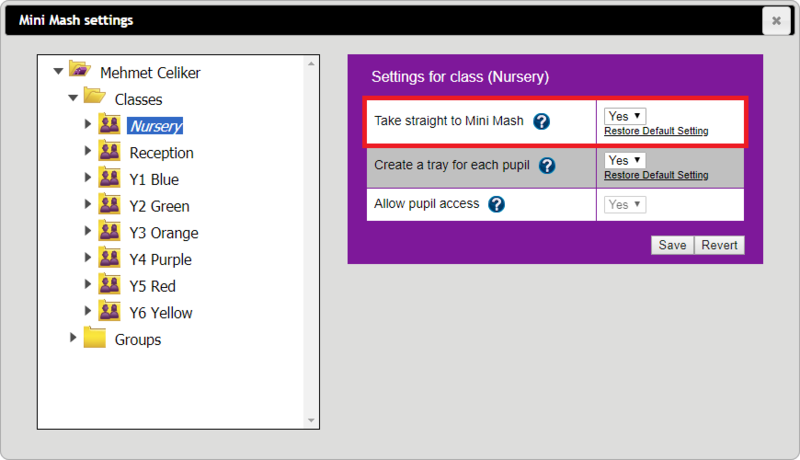 Click on the class, group, or pupil that you would like to take straight to Mini Mash, then set the option for "Take straight to Mini Mash" to "Yes".